An early render of this toy had much weedier proportions that didn't fit the character. This one manages to capture the brutish power of the character, but still preserve the smaller waist that suggests his flexibility and his cultured side. This results in a toy with unique shelf presence. This Transformers character's name will be familiar to old-school fans, as the name of a Decepticon-affiliated city on Cybertron. It was first described in the famous Marvel UK prose story "State Games," which dramatized the beginning of the Autobot-Decepticon war and established several long-standing bits of lore, such as Megatron's gladiatorial background. 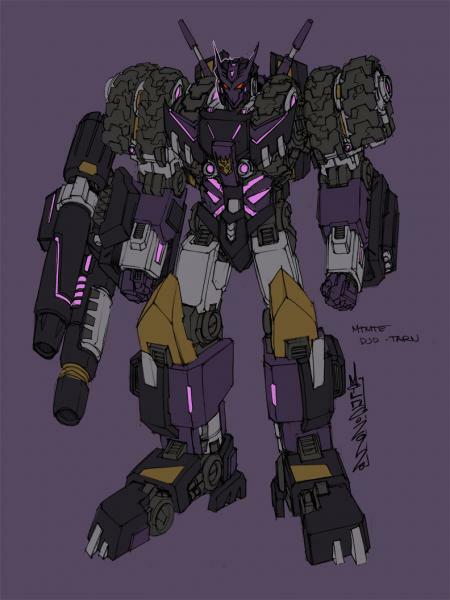 The connection is deliberate in-story, as Tarn is the leader of the Decepticon Justice Division. These semi-anonymous enforcers focus their efforts on torturing and slaying Decepticons who have proven ideologically impure. They have all assumed names based on the "first five cities" to fall to the Decepticons. In the IDW lore, the city of Tarn is also Megatron's birthplace, so the character's choice of that name underscores his fanatical devotion. 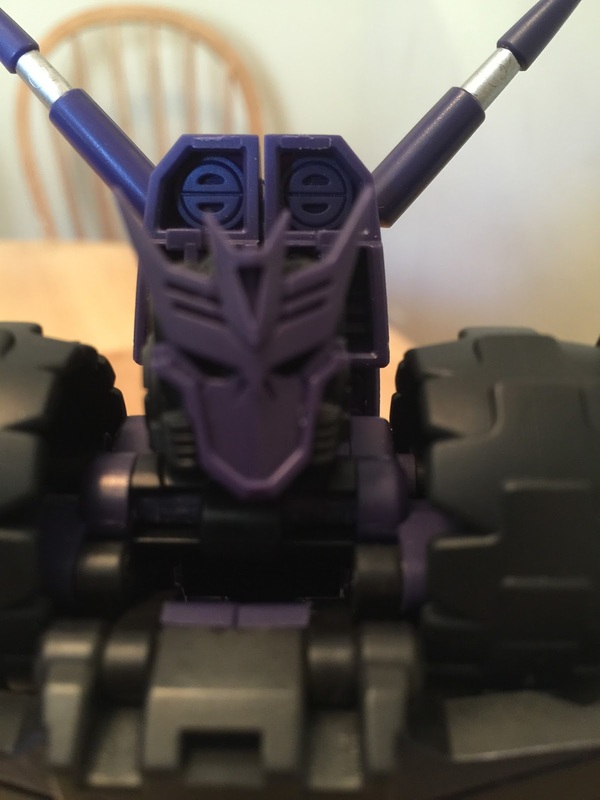 Tarn wears a Decepticon mask to hide his former identity, a detail MMC have faithfully reproduced. And yes, the mask is removable, but you'll have to see what's underneath for yourself! 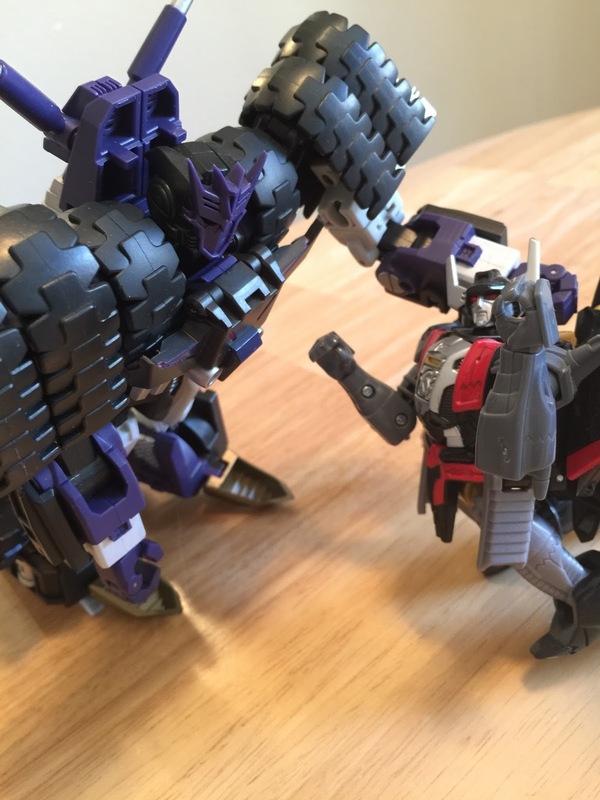 I don't have any paperwork for the toy but I imagine he will come with a comic, like all the other Reformatted-series toys. These comics started off as practically IDW-themed fan fiction but they have diverged a bit, and I don't know what's going on in them right now. 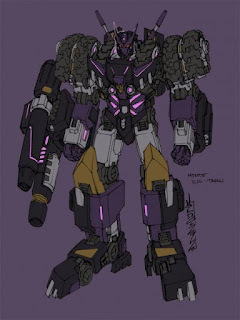 The fact that Tarn is an assumed name of a character currently unknown makes "Kultur" as good a name as any for right now. Since the Justice Division do not have official names and will not receive toys from Hasbro, this makes them natural targets for MasterMind to release. Indeed, with the release of their Cynicus (Vos, the sniper rifle) and Anarchus (Kaon, the electric chair), MMC seems committed to doing the entire Justice Division. So how does Kultur stack up to his peers? 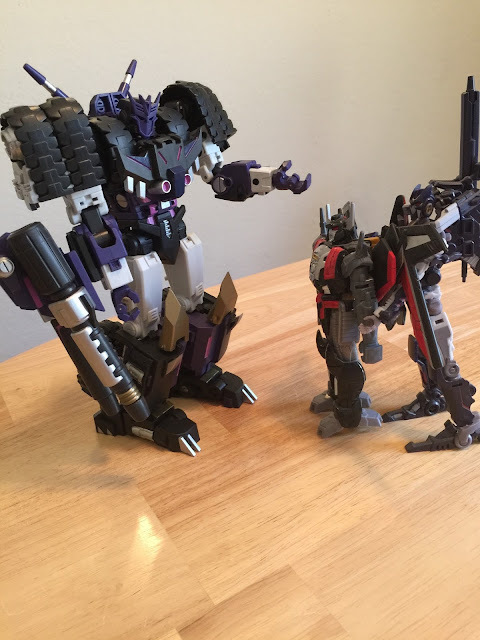 Size-wise he is a bit smaller than a Combiner Wars Leader, but still noticeably bigger than a Voyager. He almost reminds me of the old Universe Ultra-class Onslaught mold, just in terms of size. 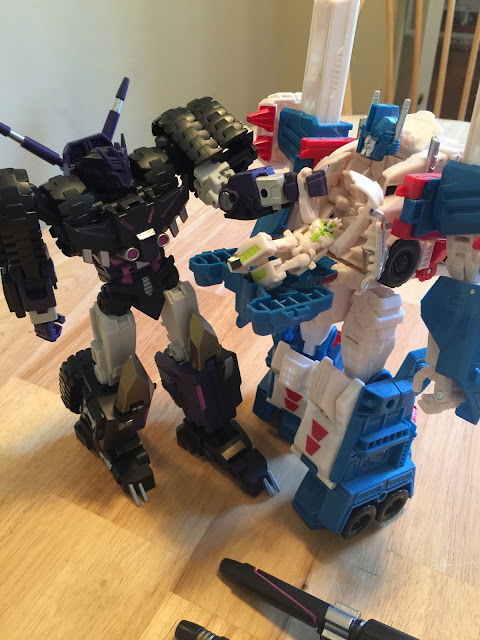 As this is a test shot, I was not able to transform the toy or put much stress on his joints. His weapon is meant to peg into the arms but this also doesn't work terribly well at the moment. 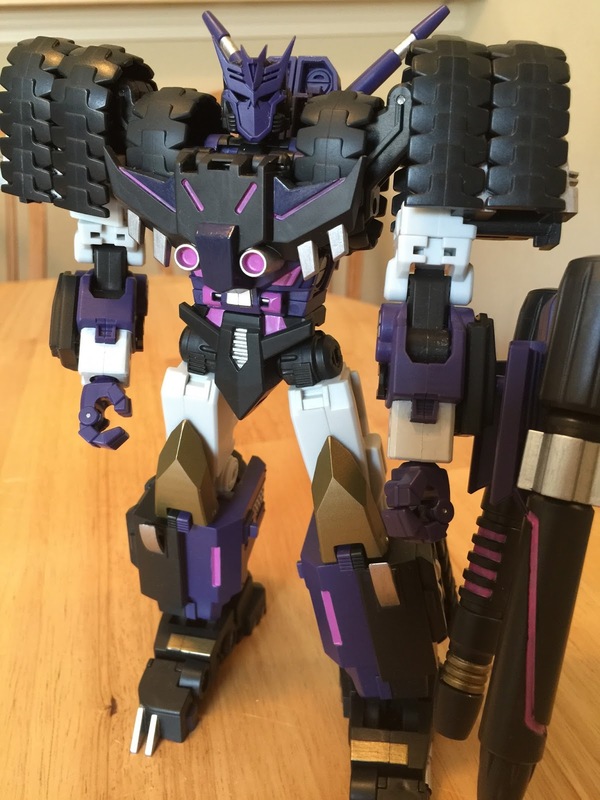 I also didn't try having him hold Cynicus in gun mode but the hands look like they are designed to pull this off as well. What I can evaluate is personality, and this toy has it in spades. 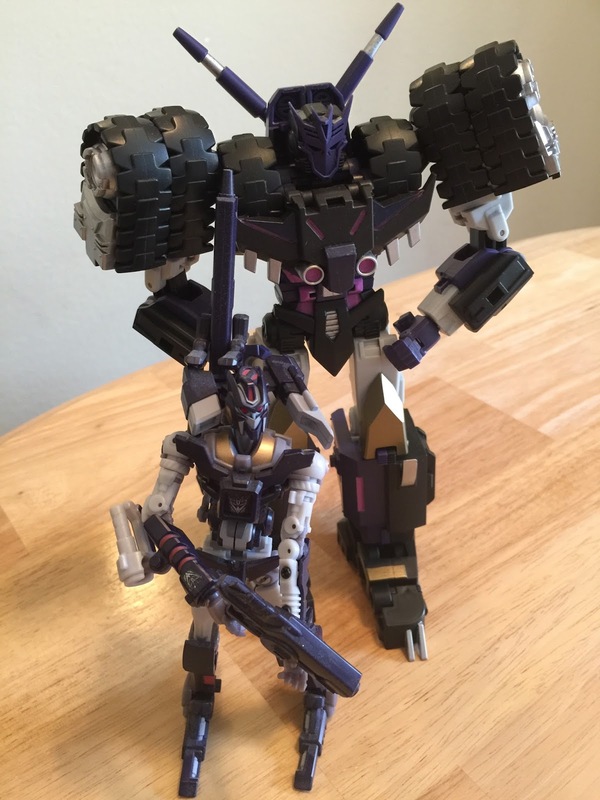 The character of Tarn is unique in that he has exceptionally refined tastes and runs his squad like a pedantic bureaucrat, but is also a vicious, psychotic force. Hannibal Lecter by way of Arnold Schwarzenegger, with the ideological fanaticism of Lavrenty Beria (look him up). I was able to put this toy in poses that suggested threatening advance, sadistic threat, and amused exasperation. The only reason I couldn't pull off a shooting pose is because of the weakness of this test shot's shoulder joints. I did take a look at the moving parts of the toy and try to puzzle out how he transforms. 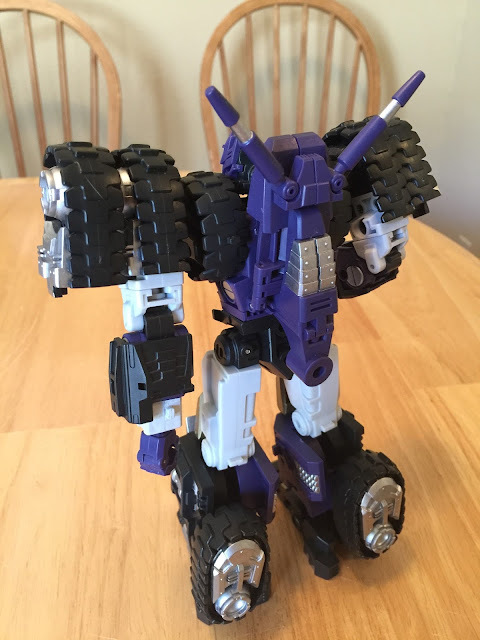 This is critical to the toy's ability to capture the character of Tarn, who is addicted to transforming and is often seen flipping back and forth from tank mode. I can't be sure, but I'm happy to report that he seems to eschew complexity for complexity's sake. That means that you *should* be able to shift between modes quickly and actually have fun doing it. I don't have Anarchus but Cynicus is also able to be transformed pretty quickly without sacrificing the look of the figure. Of course, Milne's strong design work deserves a lot of the credit here. 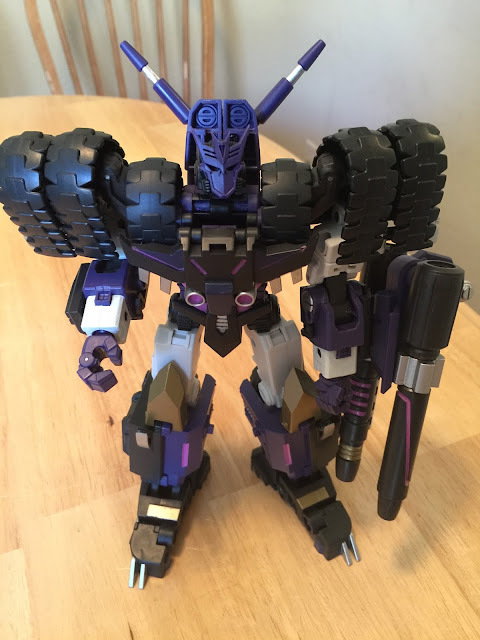 While I do like MMC's Cynicus very much, Kultur is a much more commanding presence, and deserves to take center stage on any Decepticon shelf. 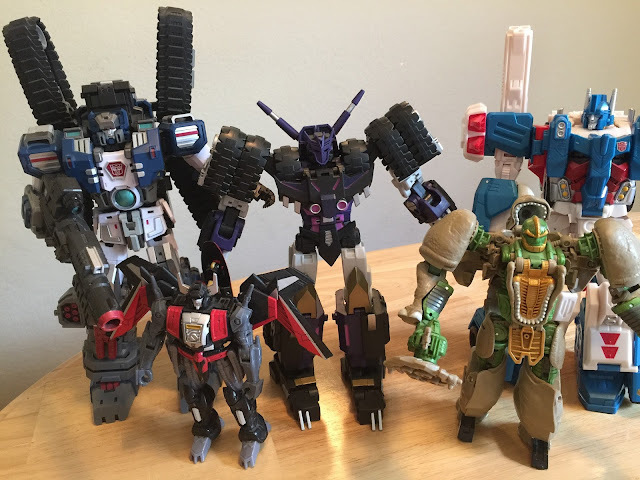 As the main villain of the "More Than Meets the Eye" comic series and a commanding presence in and of himself, he's a good buy if you have any interest at all in seeing how the G1 roster of characters has been expanded since 1987. Copyright 2015 Toy Dojo, LLC. Simple theme. Powered by Blogger.